When Fred Ridley shocked the Masters world a year ago with the announcement of a women’s amateur event to precede the Masters, it was admittedly hard to see the event working out of the chute. There were just too many questions about how the event could click on a golf course untested by female players who would only get one practice round. Beth Ann Nichols files a wonderful account of the day and the stellar performance by Kupcho shooting 67 even after a migraine appeared at the 8th tee for the first time since her freshman year in college. The day will forever be remembered by this epic, foot-on-the-pedal shot from Kupcho. She was two back at the time. —The one day gap between the opening two rounds and the finale at Augusta National actually worked thanks to players suggesting they enjoyed the reprieve after the cut was made. It still should be changed. A Wednesday practice round for all competitors followed by a Chairman’s dinner at Augusta National seems more fitting of a proper championship. Two rounds at Champions Retreat, followed by the Saturday final round at Augusta National would require less explaining. —A merchandise shop closure around noon ET in future years should get more patrons out on the course watching some stellar golf. I get it people, you came to shop but you were a little slow to find your way out to…Augusta National on a perfect day for spectating. —Better merchandise. Even with a fantastic logo that already took on a timeless appearance, the offerings were slim and uninspired. Oddly absent given the club’s understanding of history, there were few items with the “inaugural” designation for this historic day (a poster playing off the original Augusta National Invitational program cover would have been outstanding). Any thoughts from out there on what you saw via the broadcast or from on site as a patron? I’m very excited to share the story this week of Bobby Jones and the great female amateurs who intersected with is life at key times, influencing his temperament, humility and ultimately, his vision for Augusta National. The new women’s amateur event underway and concluding Saturday on NBC allowed us the opportunity to showcase three of the all time great female amateur golfers, but also explain how, as with so much of his life, Jones was an outlier when it came to admiring, respecting and benefitting from his friendships with Alexa Stirling, Joyce Wethered and Marion Hollins. A Golf Channel feature produced by Dominic Dastoli and written and voiced by yours truly appears today on Live From The Augusta National Women’s Amateur (around 10:30-11 ET on Golf Channel.) . I’ll be on to discuss the story and why went about this. There will be other airings but please tune in and share your thoughts! 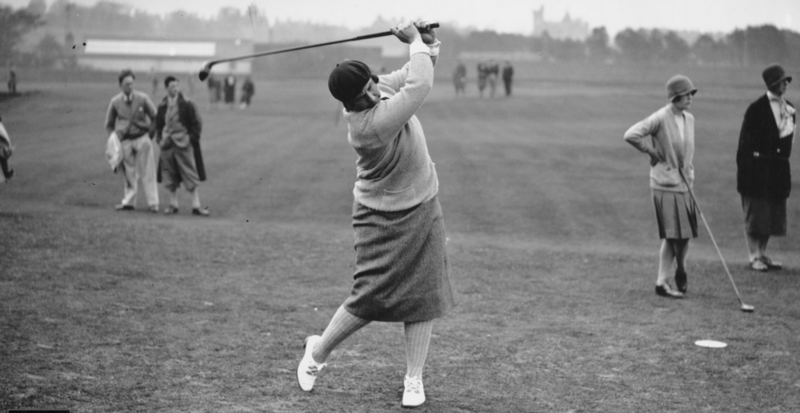 In the meantime, David Owen, who contributed to our feature, continues the great work of David Outerbridge and Bob Beck in telling the story of Marion Hollins, 1921 US Amateur champion, giant figure in the 1920s golf world and an underrated figure in shaping the development of Augusta National. Player diaries can be pretty dull but Arkansas senior Maria Fassi, just one stroke out of the Augusta National Women’s Amateur lead, is delivering forthright and interesting takes for Golfweek. Today is the Augusta National practice round before Saturday’s final round on NBC. Fassi is glad they have the day off and maybe she’ll be calling Angel Cabrera tonight for advice. I’m tired. Mentally drained after two rounds at Champions Retreat and actually relieved that there’s a chance to reset tomorrow during the practice round at Augusta National. I’ll meditate and enjoy some quiet time. The weather report doesn’t look great, but I’m confident that even if I don’t get in 18 holes tomorrow, that I’ll have a good game plan. Ángel Cabrera reached out about a week ago. He’s a big fan of the team my dad’s working with in Argentina (Club Atlético Talleres) and wanted to offer his congrats and assistance. He said I could call back after Friday’s practice round if I had more questions. Pleased to report the rain passed by overnight and the practice round appears to be going off without a hitch. Beth Ann Nichols reports on the playoff of 11 for 10 spots to make the cut into Saturday’s final round, including the incredible tale of Ainhoa Olarra. Interesting to see the USGA announce so many venues at once for the U.S. Amateur. Obviously the standouts are Oakmont, Ridgewood, Cherry Hills and Merion—Hazeltine and Olympic once would have been exciting but seem overexposed and architecturally uninspiring now compared to the rest of the scheduled venues. Both are scheduled to host future Ryder Cups. The next two U.S. Amateurs are at Pinehurst and Bandon Dunes. LIBERTY CORNER, N.J. (Feb. 21, 2019) – The United States Golf Association (USGA) today announced sites for six U.S. Amateur Championships, from 2021 through 2026. Oakmont (Pa.) Country Club will host the U.S. Amateur in 2021 and will be followed by Ridgewood (N.J.) Country Club in 2022 and Cherry Hills Country Club, in Cherry Hills Village, Colo., in 2023. The 2024, 2025 and 2026 championships will be held at Hazeltine National Golf Club, in Chaska, Minn.; The Olympic Club, in San Francisco, Calif.; and Merion Golf Club, in Ardmore, Pa., respectively. Designed by Henry C. Fownes and opened in 1903, Oakmont Country Club has been the site of 16 previous USGA championships, the most recent in 2016 when Dustin Johnson won the U.S. Open by three strokes. In 2025, the U.S. Open will return to Oakmont for a record 10th time. The 2021 U.S. Amateur will mark the sixth time the championship has been held on the iconic western Pennsylvania course. Oakmont previously hosted the U.S. Amateur in 1919, 1925, 1938, 1969 and 2003. Ridgewood’s three nine-hole courses – East, Center and West – were designed by A.W. Tillinghast and opened for play in 1929. Ridgewood, which will host its fifth USGA championship, was the site of the 1974 U.S. Amateur, when Jerry Pate defeated John P. Grace, 2 and 1. The club most recently hosted the 2016 U.S. Girls’ Junior, won by Eun Jeong Seong. It also hosted the 1990 U.S. Senior Open, when Lee Trevino posted a two-stroke victory over Jack Nicklaus. In 2023, Cherry Hills Country Club will host its third U.S. Amateur and 10th USGA championship. Steven Fox made an 18-foot birdie putt on the 37th hole to defeat Michael Weaver and cap a memorable 2012 U.S. Amateur final. Phil Mickelson, then a 20-year-old Arizona State University student, captured the 1990 U.S. Amateur there. Designed by William Flynn, Cherry Hills has hosted three U.S. Opens. Arnold Palmer produced one of the most indelible performances in Open history with a final-round 65 and a record comeback in 1960, while Ralph Guldahl (1938) and Andy North (1978) also won there. Hazeltine National will host the 2024 U.S. Amateur, its 10th USGA championship. The club will also be the site for the 2020 U.S. Junior Amateur. Designed by Robert Trent Jones and remodeled by his son, Rees Jones, Hazeltine National hosted the 2006 U.S. Amateur, which was won by Richie Ramsay, the first player from Scotland to win the title since 1898. The U.S. Open Championship has been contested twice at Hazeltine. In 1970, Tony Jacklin became the first Englishman to win in 50 years, while Payne Stewart claimed the first of his two U.S. Opens in an 18-hole playoff over Scott Simpson in 1991. The Olympic Club (Lake and Ocean Courses) will host its 12th USGA championship with the 2025 U.S. Amateur. The U.S. Women’s Open is also scheduled in 2021. The club has held three U.S. Amateurs (1958, 1981, 2007). Five U.S. Opens have been held at The Olympic Club, including Jack Fleck’s three-stroke playoff victory over Ben Hogan in 1955 and Billy Casper’s four-stroke playoff win over Arnold Palmer in 1966. Webb Simpson (2012), Lee Janzen (1998) and Scott Simpson (1987) each produced come-from-behind victories. Merion Golf Club will establish records for most USGA championships hosted by a club (20) and most U.S. Amateurs when the Amateur is contested there for the seventh time in 2026. Merion, which hosted its first USGA championship in 1904 – the U.S. Women’s Amateur – will also host the 2022 Curtis Cup Match. The U.S. Open has been played five times (1934, 1950, 1971, 1981, 2013) at the club, while six U.S. Amateurs have been held (1916, 1924, 1930, 1966, 1989 and 2005). Hugh Wilson designed Merion’s East Course, where Bob Jones won two of his record five U.S. Amateurs (1924, 1930). The 119th U.S. Amateur will be played Aug. 12-18, 2019 at Pinehurst Resort & Country Club, in the Village of Pinehurst, N.C., while the 2020 championship will take place at Bandon Dunes Golf Resort, in Bandon, Ore., Aug. 10-16. "Lucy Li, Tony Romo Situations Are Another Blow To Amateur Golf"
The USGA letting off Lucy Li for a blatant amateur status violation was not a huge surprise, but juxtaposed with Tony Romo’s Skechers golf shoe ad campaign running during golf telecasts, and the overall commercialization is expediting the de-legitimization of amateur golf and the organizations charged with enforcing the rules. Even worse, there is a growing sense of the rulemakers playing favorites. My Golfweek column. The star of an Apple ad and Nike ambassador Lucy Li has been issued a “one-time warning” for a blatant violation of amateur status rules. The USGA said it took into consideration that Li is a minor and that this was her first breach of the rules. The USGA Amateur Status Committee has ruled that amateur golfer Lucy Li breached Rule 6-2 of the Rules of Amateur Status by participating in an Apple Watch “Close Your Rings” advertisement campaign. Following that determination, the Committee carefully reviewed the facts and circumstances surrounding the breach in order to determine the appropriate penalty for Ms. Li. As a result of that effort, the USGA has issued Ms. Li a one-time warning. She will retain her Amateur Status. Late last year, Ms. Li was engaged by a casting agent for an acting assignment to promote the Apple Watch. At that time, the nature of her participation was not defined and she was given no indication that she would appear as a golfer. While on this assignment, Ms. Li was filmed engaging in a variety of recreational activities, one of which was golf. The casting agent informed her that her appearance in any final advertisement was not guaranteed, nor did they know how she would be featured. Ms. Li first became aware of the final content of the advertisement, which featured her as a golfer, on Jan. 2. She was notified by the USGA of a pending review into her Amateur Status on Jan. 3. At that time, Apple immediately took down the advertisement in all its forms. On Jan. 11, USGA notified Ms. Li she had breached the Rules of Amateur Status. Since that time, the USGA has had several discussions with both Apple and the Li family and has confirmed that Ms. Li has neither received, nor will receive in the future, any monetary or non-monetary (e.g., products) compensation for her appearance in the advertisement. Ms. Li has affirmed to the USGA that at the time she agreed to participate in the advertisement she did not know she was breaching the Rules of Amateur Status, and at no time did she intend to forfeit her Amateur Status. In determining the level of penalty, the Committee considered all these facts and circumstances, including a recognition that Ms. Li is a minor and that this was her first breach of the rules. This ruling is consistent with the Committee’s general practice of issuing a warning to amateurs who unknowingly breach Rule 6-2 for the first time and take appropriate remedial measures. The USGA has communicated this ruling to Ms. Li and this matter is now closed. We encourage amateur golfers who are unsure about taking a proposed action to engage with their governing body early in the process, in an effort to protect their Amateur Status. 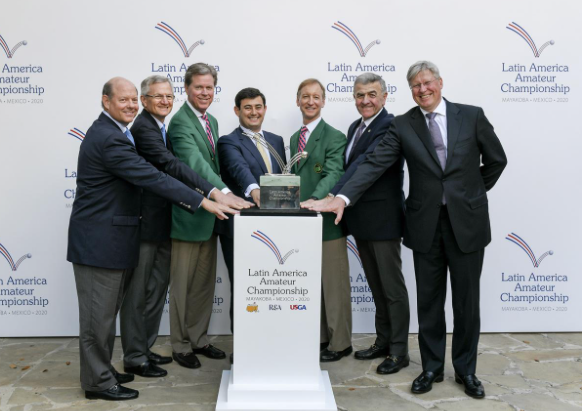 Just when you think the story of your substandard payment to your Tour-event winning stand-in caddie was about to disappear from headlines, the good folks at the Masters, R&A and USGA had the gall to announce Mayakoba’s El Camaleon GC as the site of the 2020 Latin America Amateur. This is the same course where Kuchar won. The news dispelled one mythological view on why Kuchar might have severely underpaid El Tucan after winning last fall’s Mayakoba Classic: because the area is so dangerous that any looper getting a proper 10%-of-$1.3 million-check would be in imminent danger, as would his family. Apparently, the Five Families don’t agree. 17 January 2019, La Romana, Dominican Republic: The Latin America Amateur Championship (LAAC) will be held in Mexico for the first time next year at Mayakoba’s El Camaleón Golf Club on Riviera Maya, January 16-19, 2020. Championship organizers made the announcement today during the 2019 LAAC currently underway at Casa de Campo’s Teeth of the Dog in the Dominican Republic. Ryan Herrington breaks down who the top hopefuls are in the Latin America Amateur Championship, where a spot in the Masters is on the line. Ron Driscoll writes about the legendary Pete Dye “Teeth of the Dog” design returning as host of the LAAC. You can check out the scoring here. Those curious about the ramifications for amateur status will learn a lot form USGA CEO Mike Davis’s comments to Golf Central regarding the status of Lucy Li’s case after starring in an Apple Watch ad: she’s adorable, she’s a Curtis Cupper and she’ll be around a long time according to Mike Davis. Translation: she’s not losing her status. Script those Nike outfits, wear that watch and book that flight to Augusta! The glorious (and big!) Augusta National Women’s Amateur invitations have started arriving in mailboxes of the players who have earned exemptions to the inaugural event. Beth Ann Nichols with Anna Redding’s story of opening the big invite. Of special note is the glee with which Lucy Li celebrated her invitation as the USGA weighs the 16-year-old’s amateur status following an Apple Watch ad appearance. As ANWA Invites Go Out, What Will Be Li's Post Apple Ad Status? As the USGA sorts our Lucy Li’s starring role in an Apple Watch ad, Steve Eubanks of Global Golf Post recaps the story and notes the no-win position faced by the governing bodies. There aren’t many rocks and hard places much bigger than the ones they’re between. While he suggests that’s based on past reputation, I’d counter that their biggest hurdle is a society seeing no issues with amateurs taking freebies or payment for endorsements. The lines have certainly been blurred by the Olympics and even things as seemingly innocuous as allowing amateur golfers to wear scripted corporate logo gear. Still, no matter how you feel Eubanks makes a key point that mustn’t be forgotten in the debate. But before you jump to conclusions, think about this: Li is listed in the field for the AJGA Buick Shanshan Feng Girls Invitational on Feb. 15-18. She will be playing against girls who know the rules; girls with parents who have shelled out small fortunes to keep their daughters competitive in the junior game. How will those girls and their parents look at Li? Will anyone call her a cheater to her face? Others played by the rules and while they may not have been offered endorsement opportunities, many or most of those players likely would have followed the rules. Li’s parents did not and while it’s a shame, clearly all involved were not concerned with her amateur status. For that alone, it’s time to let her pursue a professional career. With Augusta National Women’s Amateur invitations going out this week, it will be interesting to see if the good folks in Augusta are holding on to Li’s automatic invite (based on world ranking) until a decision is handed down? Maybe It’s Time To Re-think "Amateur Status"
It is a clear-cut violation of amateur status rules, assuming such things matter any more. Maybe they should not in a world that increasingly wants to market to and cash in on the kids. I digress. To review: Lucy Li, 16, broke onto the national stage at age 10 by qualifying for the U.S. Women’s Amateur Public Links, qualified for the 2014 U.S. Women’s Open at Pinehurst at age 12, played on the 2018 Curtis Cup team and is the ninth-ranked female amateur golfer in the world. Sit less. Move more. Get some exercise. Apple Watch owners like Lucy make it their goal to do all three every day. Learn more. There is no grey here. This was a heavily produced piece in which she is wearing scripted Nike outfits, is filmed in a faux social setting, and is shown in golf action wearing her watch while appearing in an ad to promote a product. She is blatantly allowing a third party to use her likeness. Nothing in the language on amateur status comes remotely close to spinning Li’s behavior as anything other than an obvious violation. Contacted by Ryan Herrington of GolfDigest.com, Li cited an NDA for not commenting while Amy Li, her mother, is claiming there was no payment for Lucy’s time or image. Contacted by Golf Digest, Li said she had signed a non-disclosure agreement with Apple that prohibited her from discussing the video. Li’s mother, Amy, said via text message that Lucy and the family did not receive any compensation for being in the video. We’re looking at either a blatant amateur status violation or a case of poor parenting by letting a child star in an ad without compensation. But in a sport increasingly desperate for the attention of anyone under 30 with most organizations making decisions with an eye on how younger generations will view decisions, there is little chance the USGA will revoke her amateur status. Besides consistently abdicating responsibility on multiple fronts, they’ve refused to undermined their rules on amateurism by allowing teenagers to receive free clubs and scripted attire. The R&A sadly concurs. Children are now billboards in golf on a first name basis with company representatives and agents. If the governing bodies of golf are not bothered and society is increasingly fine with pushing people to peak in life by 20, then why do we bother with amateur status. Look at the follow-up answers to Global Golf Post’s tweet on this news. Starting with GGP’s own follow up post. I understand amatuer status, but on the flip side, the USGA should be thrilled that golf was just used in a major marketing campaign outside the golf industry. Golf needs more of that. The implication of both Tweets seems to be that a company that large and that successful excuses Li’s violation because it could benefit the sport having such wealth and influence like golf? As an Apple fanboy it’s wonderful to see them taking notice, but to suggest ignoring the rules in place for corporate and youth-obsessed marketing agendas means it may just be time to throw out all of the rules. The image and reputation of the amateur game was already in decline. Looking the other way on Li, as the governing bodies will surely do after checking with their image consultants, won’t stem the bleeding nor will it change behavior of “amateurs”. Players with exemptions to major championships regularly pass them up and turn pro instead of taking once-in-a-lifetime playing opportunities. The mid-amateur world is played in almost complete anonymity while the best amateur tournaments in the United States barely register a blip. At the U.S. Amateur, a vast majority of spectators are either family, friends, agents or representatives of manufacturers who swarm players and even cheer on those who use their equipment. The lure of professional golf is the only thing keeping amateur golf relevant. It’s a feeder world for men and women and Li will not be punished for acting like a pro when she’s likely turning pro soon, anyway. The modern USGA will not take on a player in such high profile fashion, particularly a young woman who has been a big part of their events. As Frank Hannigan always lamented, the organization’s decision-making is driven by a desire to be loved and a fear of being seen as having interfered with someone’s ability to make a living. The rules of amateur status are nothing more now than a linked page on a website. So if we’ve reached this point, why not just accept that by allowing players to be paid for their time promoting products? Let them pay a few bills and live the American dream? The ones who want to be pro golfers look like they are already operating that way because they don’t care what the governing bodies think. A society where every opportunity to profit must be protected will probably side with Li and other players who are just playing golf ultimately just to make a buck. Augusta National has announced the broadcast partner—NBC Sports—and other details for the first-ever Augusta National Women’s Amateur, including its very own acronym! AUGUSTA, Ga. – In less than seven months, golf’s best women amateurs will compete in the Augusta National Women’s Amateur (ANWA). Today, it was announced that NBC Sports will produce and broadcast three hours of live final-round coverage of the event, which is being supported by five presenting partners: AT&T, Bank of America, IBM, Mercedes-Benz and Rolex. In addition, ticket applications are now available for those interested in attending any of the championship via www.ANWAgolf.com. Gathering the week before the Masters Tournament next April, the international field of 72 players will compete over 54 holes of stroke play, with a cut taking place after 36 holes. The first two rounds will take place on the Island and Bluff nines at Champions Retreat Golf Club Wednesday, April 3 and Thursday, April 4. The entire field will then play Augusta National for an official practice round Friday, April 5. The final round will take place at Augusta National on Saturday, April 6 and will feature the top 30 competitors who made the cut. NBC Sports will provide pre-event promotion across NBCUniversal’s portfolio and live coverage of the ANWA across its television and digital platforms, including live final-round coverage on NBC at Augusta National from Noon – 3 pm EST. Golf Channel will deliver highlights, live reports and news coverage throughout the event, including onsite during the first two competitive rounds at Champions Retreat. Additionally, Golf Channel’s “Live From the Masters” will commence on Friday, April 5 from Augusta National and wrap ANWA coverage on Saturday, April 6 and the Drive, Chip and Putt National Finals on Sunday, April 7. Golf fans wishing to attend any of next year’s competition rounds can now request a ticket application via www.ANWAgolf.com, the event’s official website. Tickets will be sold in advance, but only after receipt of an online application. Applications will be accepted through September 30. All applicants will be notified in late October when the selection process is complete. The field’s remaining spots will be filled by special invitation from the ANWA Championship Committee. Golden State National: Is This A Bad Time To Mention That We Need More Golf Tournaments In California? --Rain rarely occurs in California from May through October. --Golf is played outdoors. It is much better when rain does not interfere with the proceedings. Ok, technically I've presented four simple facts. As we were reminded again last week after what has actually been a good-weather season in golf, the sport features many overpaid individuals who continue to sign up their major events on the east coast at times of year when rain can (will) be an issue. The PGA Tour set its playoffs for midwest and northeast venues, with a finish in Atlanta at a boring culmination architecturally that will be even less glamorous in 2019. As you know, ratings have never been very good for the FedExCup Playoffs. The list of reasons is long, from a confusing and unsatisfying format, to the time of year and the time zone of the venues, to overall golf fatigue once the majors have been played. The numbers may not improve next year when the playoffs are contested by late August, soon after the major season has ended and at more eastern venues. Meanwhile, the PGA Championship moves to May 2019 and while this meant the PGA of America could open up new regions like Florida or Arizona, they've got mostly a who's-who of venues similar to those they've always gone to--Kiawah, Valhalla, Quail Hollow, Baltusrol, Southern Hills, etc...), with just two California stops scheduled through 2030--Harding Park in 2020 and Olympic Club in 2028. Weather could be an issue for most of the future PGA venues, particularly the New York area stops at Bethpage, Trump Bedminster and Oak Hill. So if you like the permutations of weather-delayed event planning, then check out Nick Menta's GolfChannel.com story on the many possibilities for the 2018 BMW Championship as play spills into Monday. 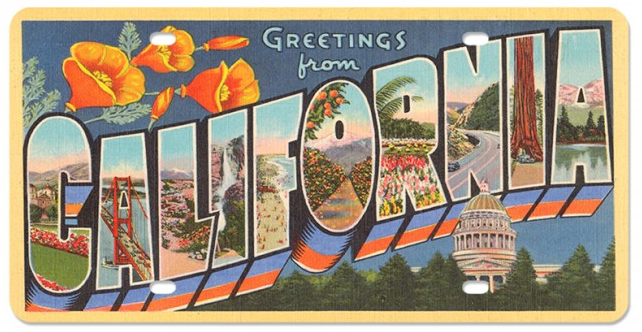 But if you are a dreamer, consider Golden State National. It's an as-yet unbuilt (or not-yet-remodeled) facility somewhere south of San Francisco and featuring 36-holes of golf, enough hotel rooms within 45 minutes to support the traveling golf circus, a luxury hotel on property for not-important VIP's, a G5-friendly landing strip, and of course, at least 8,500 yards of golf to deal with the distance explosion. More vitally, Golden State National can host major events from March to November, deliver ratings and finish on Sundays. The ground will be firm. Fans will enjoy themselves. Television executives won't have digestive issues. But here's the catch: to build or remodel an existing facility into GSN, it costs money. A lot of money when you have to build a course for the modern game where 250 acres is the new 150, meaning we need 500 acres potentially. The non-profits of golf, devoted to funneling every penny possible to charity--ok, that's slightly sarcastic--have resisted even considering such a facility due to a lack of vision or a lack of funds, even though GSN could also host some NCAA Championships, LPGA majors and other special events. And hackers the rest of the year eager to pay $250 to play where the pros play. It'll probably take about $150 million to pull off the facility from scratch, maybe less if we can find a lesser property where dynamite and architectural ingenuity will be the greatest expenses and a local airport handles the Wheels Up crowd. I can think of two San Diego area properties that fit such a bill, and that's just off the top of my head. So how do we go about raising the funds for Golden State National since golf's Five Families resist the desire, vision or courage of convictions to do what is right? Which is, to create a facility dedicated to the modern game, modern weather, and modern sports audience? We don't have a BMW Championship winner with the event attempting a Monday finish due to inclement weather, making for a light week when the LPGA, PGA Tour Champions and Web.com Tour were all dark. Which reminds me, those three all finished events last Sunday instead of Labor Day Monday. With the PGA Tour vacating that day in 2019, maybe we can stagger some of those finishes next year? Here is Alistair Tait on Fitzpatrick's win, just a hair late for this year's Ryder Cup consideration. Wow!! What a day! So happy to grind out the win. Such a special place up here in Crans. Thank you Yves and his team for another memorable week at @omegaeuropeanmasters. Amazing feeling to get win number 5! Captain Thomas Bjorn loves seeing his countrymen winning the World Amateur Team Championship over the Americans. A harbinger of Ryder Cup fortune? Here is Pete Kowalski's story on the win and USA runner-up finish.